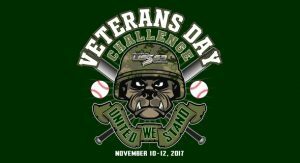 The USSSA Veterans Day Challenge Tournament is held in Las Vegas, Nevada in which Team BLE will be entering teams in each of the 11U and 12U Divisions that will play on a 70/50 ft diamond (Pee Wee sized field). This BLE event will include pre tournament workouts in the lower mainland and in Las Vegas prior to the tournament followed by the tournament being held from Friday, November 10 – Sunday, November 12th (four games guaranteed). 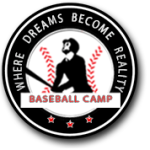 Coaches will include former Canadian Olympic team coach and Major League Scout Marty Lehn, five time World Series Champion and former MLB catcher and coach Bob Didier, 12 year major league pitcher and World Series winner Albie Lopez along with former professional player in the Milwaukee Brewers organization Kyle Dhanani. Special Guest Shea Hillenbrand (2 time MLB All-Star) will also join the instructional team. Unfortunately the cost of events such as these to the US is indicative to the exchange rate and with that in mind, we wish to offer all those participating a gift certificate of $100cdn towards our 2018 summer camps. As many of you are already making plans to participate in next year’s summer camp, this is a great way to save $100 for 2018. Cos of event: $850.00cdn + GST.